On February 15, 1985, a brain, an athlete, a basket case, a princess and a criminal were introduced to the world. Since the inception of The Breakfast Club, it has inspired young adults across the globe. The film explores the pressure teenagers feel in regards to high school social structures as well as the struggle to be understood – both by adults and by themselves. On the surface, these five teens have nothing in common. As each of their stereotypes is broken down, each of them begins to understand that they are more alike than they think. Three days after the film’s release, John Hughes – the writer, director and producer – turned 35. His request to direct The Breakfast Club created skepticism due to his lack of filmmaking experience, but respectfully proved them wrong in all aspects. While he went on to direct many other films including Sixteen Candles and Weird Science, there is something else these three films have in common: John Kapelos. Kapelos' portrayals of Carl Reed, Rudy Ryszczyk and Dino earned him recognition that brought him to later films such as Roxanne and Internal Affairs as well as guest roles on television shows such as Gilmore Girls, CSI, and Modern Family. 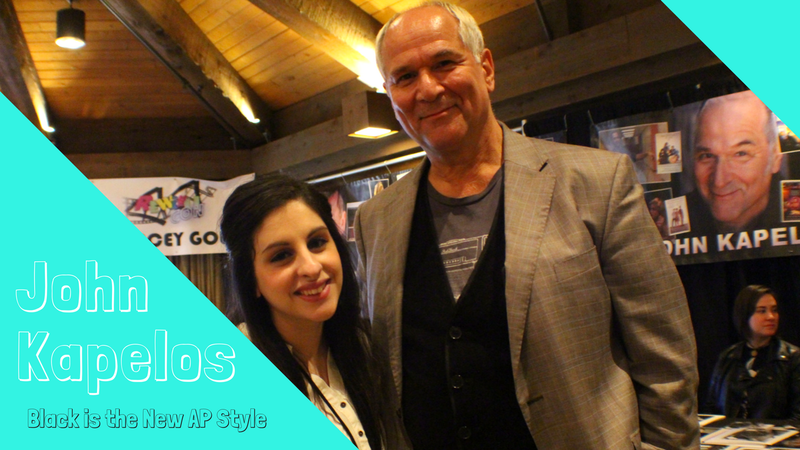 Kapelos was in the Chicagoland area for REWind Con in November 2016 and we got to chat with him. Watch below!